As someone who has been through nine winters in Seoul now, I can tell you candidly it's not exactly the city in its best. Sure, in the movies and dramas it seems so joyful. Snow! Couples frolicking! Mittens and scarves! But the reality is that when you've endured months of Siberian winds bringing subzero temperatures and gray skies on a daily basis, it can dampen spirits. But ain't nobody got time for that because you can make your time in Seoul special and memorable! So here's a list of my top recommendations for the quintessential things to do in Seoul's wintertime. Long, long ago, kids used to skate and sled on the Han River in deep winter when it was completely frozen over. This potentially dangerous option is no longer available to anyone (please do not even think about trying it) but luckily you can still hit the ice at a number of ice rinks around the city to channel your inner Kim Yuna. 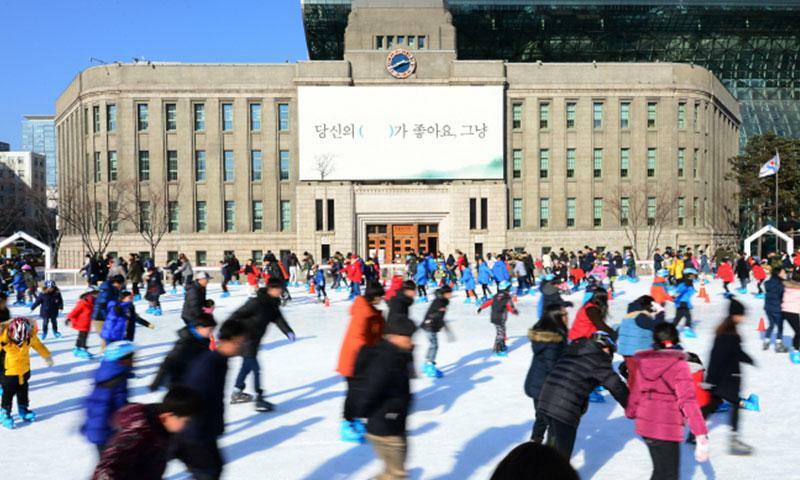 For those on a budget, the ice skating rink at the Seoul City Plaza is recommended as an hour of skating (with ice skate rental) will only set you back 1,000 KRW. This also means though that it can get quite crowded, particularly on weekends, especially with families with younger children. The rink's location though, just next to the old City Hall building and across from Deoksugung Palace, does make for quite a lovely setting. A similar cheaper option is at Yeouido Park where rentals and admission will only set you back about 3K per person. Another popular option for families is the ice skating rink at Lotte World. Being located in the grounds of the popular amusement park makes it all the more attractive for families but is popular with romantic couples as well. For those that are easily susceptible to the cold, this may be an attractive option as the ice skating rink at Lotte World is indoors. For the ultimate romantic and luxury option, the famous ice skating rink at the Grand Hyatt is the place to go. Perched on a hill overlooking Seoul, the rink is much more intimate with fewer people, though a major reason why is because of the steep price. Still, if that's not an issue, in terms of atmosphere it's hard to beat. 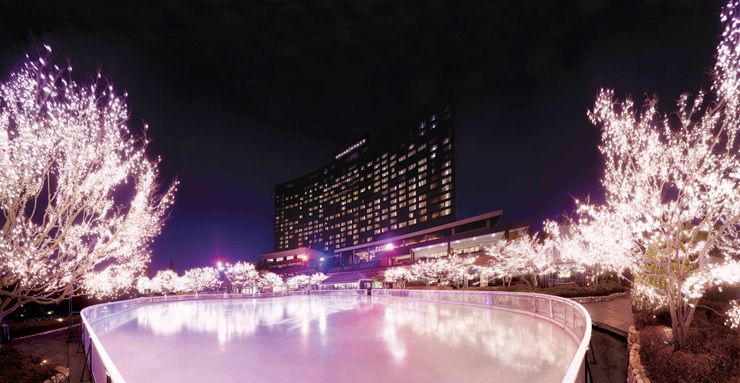 Make sure you take time to enjoy the beautiful strung up lights on the trees in front of the hotel at night! Though Korea doesn't produce coffee on its own, when it comes to coffee culture it has really placed itself on the forefront in Asia. 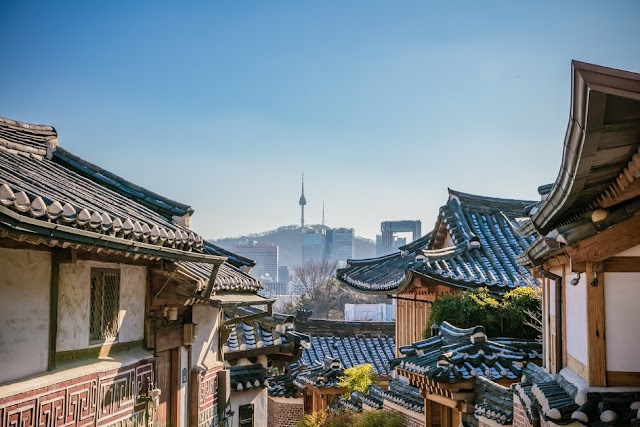 Major coffee chains like Starbucks and Coffee Bean are seemingly everywhere in the capital and even others, like Blue Bottle, have also recognized the value of the Korean market and are establishing its presence here. But to have a local experience, opt for the many independent cafes all around the capital serving up good strong brews from award-winning baristas and Instagram-worthy settings. Recommended neighborhoods for cafes include Ikseondong, Hannamdong, Sangsudong, Seongsudong, and more. If you can, opt for a cafe with a view and sit by the window. Enjoy your cup while watching the people pass by. Maybe if you're lucky enough snow will be falling at which point you may find yourself imagining you're playing the starring role of a Korean ballad music video. Ask any Korean what scent they associate with winter and a majority of them will tell you it's the smell of roasted sweet potatoes and/or chestnuts lingering in the winter air. You'll likely come across street vendors selling these roasted goods in the winter season which you can purchase to eat right then and there or take them home with you. Roasted sweet potatoes are particularly a favorite for many Koreans and if you really want to eat it the Korean way, eat them with some chilled kimchi or a lip-smacking dongchimi to wash it down. But hey, roasted chestnuts and sweet potatoes are found quite readily in many winter countries so why not take the time to explore some of Seoul's unusual and distinct street food offerings? 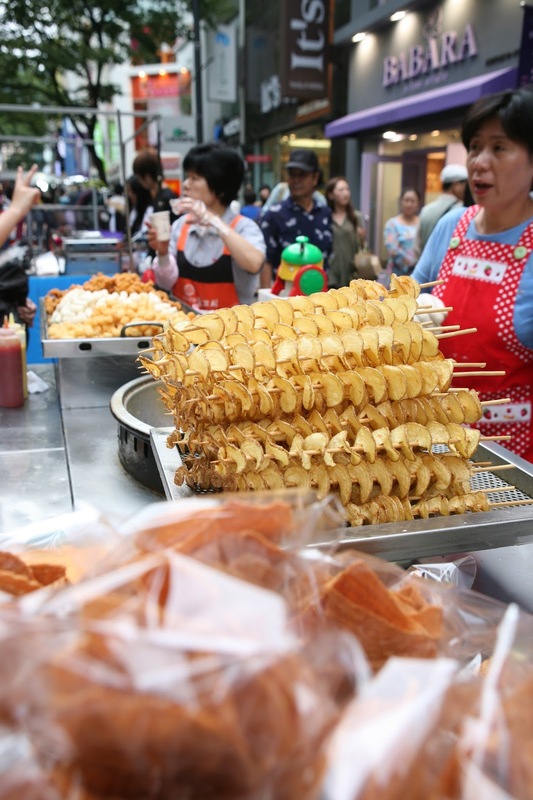 Myeongdong is one area well known for their street food. 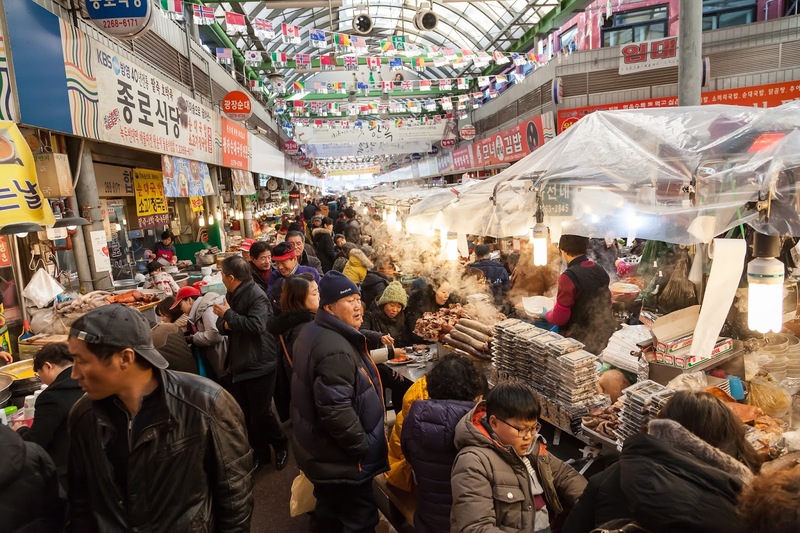 But traditional markets are also great to enjoy in this season as well and a tasty, just fried jeon at Gwangjang Market or a hot bowl of kalguksu in Namdaemun is hard to beat on a cold day. Don't forget Tongin Market's make-your-own doshirak lunch which is like an evolved form of street food eating. Looking for something more unusual? Why not try boongeobbang, or goldfish bread? Though they're shaped in the aquatic animal, there's no seafood in here. Just sweet bread that's filled with a sweet red bean paste. Look for street vendors around the city selling this classic favorite. At convenience stores you can also get hobbang. These round, fist-sized steamed bread is also stuffed with sweet red bean paste but you can also come across savory kinds more akin to a giant dumpling. And, of course, many will tell you the tteokbokki and fish cakes from the many street vendors always tastes the best in winter. No one can argue they do a fine job of warming you up! Seoul doesn't have any slopes of its own but thanks to Korea being a mountainous country, you can reach a ski resort as quickly as 90 minutes by car from the capital. A range of resorts are scattered mostly east of Seoul and within a 4 hour drive. Depending on your level and what you're looking for you can easily pick a resort that best fits you. CNN has an excellent guide that breaks down some of the pros and cons of the major resorts. No car? 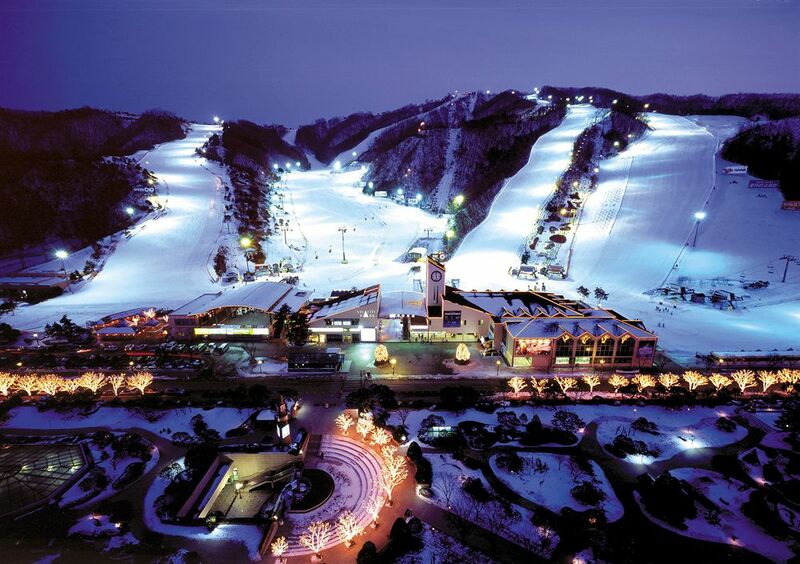 Some major resorts even offer a shuttle service to and from Seoul! No equipment? Almost all resorts have a rental shop lending out not only equipment but even gear and clothing! Of course, it goes without saying that you'll hit crowds on weekends, right? Still, it's the perfect time to test out Korea's slopes especially with the 2018 Pyeongchang Winter Olympic Games just around the corner! Rooftop bars may be all the rage now in Seoul's summertime these days but when it comes to winter, there's nothing that encapsulates Korean drinking than a good ol' fashioned pojangmacha. 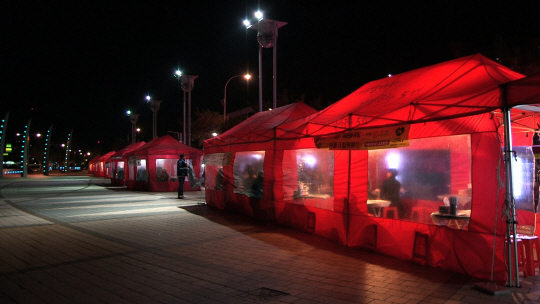 They're easily spotted around the city for their bright, gaudy makeshift tarp tents. A few heaters are placed inside so as long as you're dressed warmly you should be fine. It's not a luxury option by any means but seat yourself at a plastic stool at one of those blue or red plastic tables inside the tent and the auntie (or uncle) will likely bring over a bowl of clear soup with spoons inside (service) and ask what you want. Stir-fried blood sausages, spicy pork, chicken feet, battered and fried squid, hearty fish cake soup... these are just a few of the many options you'll likely to come across but when it comes to the drink choice, go ahead and order a bottle of soju and feel its liquid fire beginning to spread. Take that winter. And if you're lucky enough to be inside when snow flakes are floating down from the skies outside, you may find the soju is going down even sweeter than other days. You're likely to hear Koreans sing the high praises of its culture (kimchi! electronics! chicken!) but in winter time you may hear the same about a funny little word called ondol. These traditional heating system for homes would utilize fire (often from the kitchen) to heat the entire floors of a home. And really, there is something truly amazing about being wrapped up in a blanket in the winter on a toasty ondol floor while peeling and eating tangerines and watching TV. Unless you're staying in a Korean home however, it's not likely you'll come across this system at which you can do the next best thing by going to a jjimjilbang. 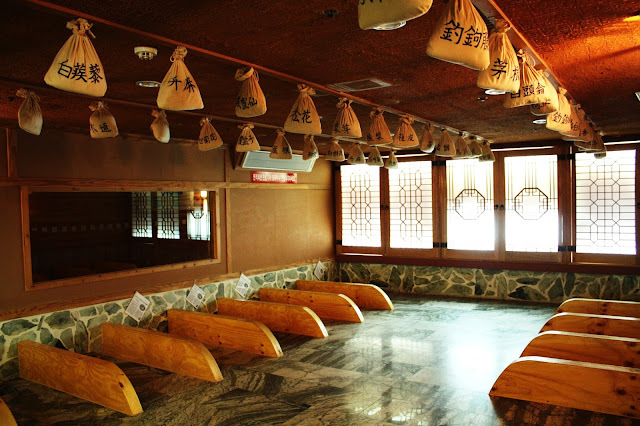 In addition to usually having a common space that employs the ondol system, the different heated rooms with unusual properties like rock salt, charcoal, jade, etc is guaranteed to not only warm you up but relax your tired body. Weave in and out between rooms, (literally) go chill in the ice room if things get too hot, and feel free to lounge around watching TV, reading comic books, or even taking a nap. And with most usually having a restaurant and/or snack corner you can easily spend hours at these unique jjimjilbangs. If you're feeling particularly adventurous, head to the (gender separated) hot tubs and bathing section and opt for a body scrub from the professional scrubbers. Yes, you may feel like an awkward fish being descaled on a cutting board initially but watch as layers of your dead, grimy skin layers come off in eraser-shaving showers and you'll come out being the smoothest you've been since you freshly came out into the world. 1. Does it snow in Seoul's winter season? While it does tend to snow in Seoul, it's not as frequent as some people think. And often even if it does snow, they tend to be small snow flurries that doesn't stick. On occasion, Seoul does get hit with a snow storm in which case it may be momentarily romantic in atmosphere, as depicted in many dramas and movies, but the slippery roads and slush that follows is nowhere near amorous. On average, I would say heavy snow that sticks is less than 5 days in total per winter season in Seoul but I've found it really differs year to year. Do also remember that the snow, like the rain, is not at its cleanest in a metropolitan city such as Seoul so I would highly recommend umbrellas, hats, or other protective gear to prevent it from making contact with your skin or hair. 2. 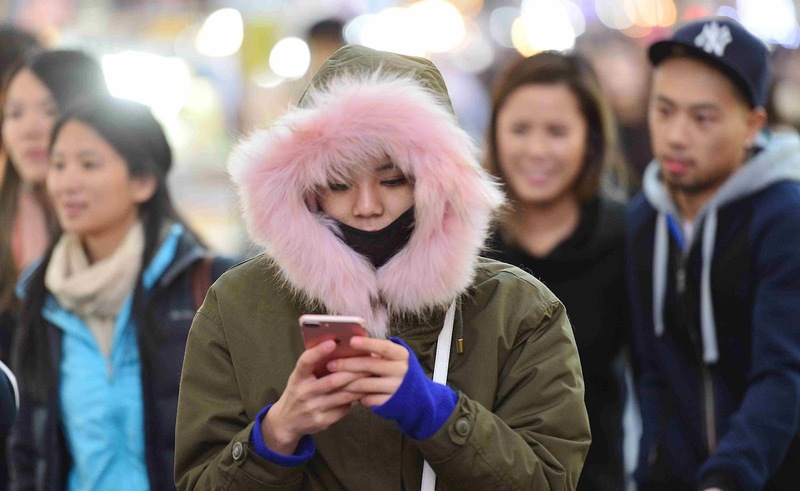 How cold does it get in Seoul? I've found average temperatures can also vary greatly winter to winter but you should generally prepare for temperatures that fluctuate between double digits in the negatives at night and single digits in the day time. So sometimes the temperature in a single day can vary as much as 20 degrees and, at its coldest days, temperatures can stay in the negatives all day and morning. Besides the actual temperature, one needs to also take into account that Siberian winds tend to blow down from up north making it feel colder than it is. I consider myself pretty good with cold temperatures but when there's wind? see you inside, amigo. 3. How should I dress for Korean winters? Because of the varying temperatures between day and night, as well as your likelihood of moving outdoors to indoors and vice versa, layering is key. Start with a good pair of long johns. You can pick up some heat tech long johns at shops like Uniqlo or even find them at clothing vendors at neighborhood markets. A good pair will help keep your heat insulated, making a world of a difference. Seriously I used to make fun of those who wore long johns when I initially arrived in Korea but after two or three winters in Korea, I've never looked back. Get. them. long johns. Then, layer appropriately opting for material like wool if you're particularly susceptible to the cold. A good pair of padded outerwear of some kind is also necessary in the deep winter. These jackets should be padded inside (such as with feathers) and have a protective outer layer that repels snow and other moisture. Remember this isn't autumn so those coats, no matter how fashionable they are, are not likely to cut it in Korean winter.These days the long padded jackets that reach down to one's ankles are popular apparently for those fashionistas out there. Lastly, don't forget things like gloves, scarves, ear muffs, hats which truly do make a difference in winter. If you're traveling and likely to be frequently reaching for your phone to look up information and such, opt for gloves that also work on touch phones. You can easily find many such accessories in malls, major clothing stores, and even on the streets. 4. How are the holidays in Seoul? Both Christmas day and New Year's Day (Dec 25 and Jan 1) are national holidays. However, the majority of major restaurants, shopping areas, retail stores, will likely be open. This is particularly true on Christmas which, in Korea, is actually considered a day for romantic couples (think Valentine's Day in winter). You may find it hard to find seating at popular restaurants and cafes on Christmas (and often Christmas Eve) and also find places like shopping malls and movie theaters (basically wherever couples go) quite packed. There's not a real meal or dish that's associated with the holidays in Korea except for Christmas cakes. People often place advanced orders for cakes from major bakeries and dessert chains, to even small cafes, so if you're a dessert lover you may want to keep that in mind when it gets closer to Christmas. New Year's Day is just a bit quieter in comparison to Christmas Day but certainly no less busy. New Year's Day is nowhere near as big of a holiday in Korea as the Lunar New Year, which usually comes two or three months later, when three days of holiday is given. 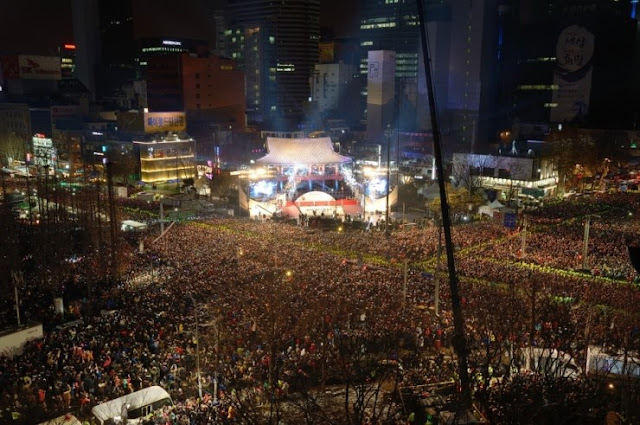 The most famous event associated with the solar new year is the ringing of the bell of Bosingak in Jongno at midnight. Unless you are specifically seeking this event out, you may want to avoid the general Jongno vicinity on New Year's Eve as it will be quite crowded. 5. Does public transportation run during the holidays? Yes buses and subways operates on national holidays as normal and often even extends some trains and buses during peak holiday seasons. When it comes to taxis, this is a whole different matter. Because of the high demand for taxis in this season (see the next question), if you're trying to grab a cab in a popular neighborhood like Hongdae, Itaewon, Jongno, or Gangnam in the late hours when public transportation is closed, good luck because you're basically in the Korean version of the Hunger Games. Cab drivers will turn down passengers who aren't going further (despite this being illegal), switch their light to say they are 'reserved', and even try and demand a flat payment (instead of the meter) to exploit the fact there are countless folks out looking for a cab. Within the last few years, the police have taken efforts to crack down on this malpractice but it still happens and it still exists. Install and try the Kakao Taxi app. No, this isn't a plug but because Uber (except Uber X) and other related car sharing services are illegal in Korea, the only option is Kakao Taxi which acts as the same thing but with cabs. Many cab drivers have this Kakao Taxi system equipped in their cars and a cab in the general vicinity may agree to your route. Simply input your present location and where you want to go and the app tells you if a cab has accepted as well as all their information including cab driver's name, license plate, etc. Unfortunately, the app is still only in Korean so it's not very helpful if you don't speak/know Korean and even if you do, it's still not a 100% guarantee you'll find a cab. You can also try Uber X for a premium price although the pool of drivers in that is far less than Kakao Taxi. Walk a bit from the "busy" sections to catch a cab. 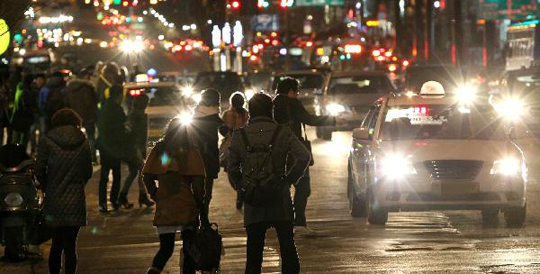 When you're in the heart of Gangnam, Itaewon, etc, at odd hours on the weekends it's a jungle to say the least. So, if you're up for it, and the weather isn't too bad, take a hike. Think of yourself as your own Robinson Crusoe looking for rescue and instead of staying deep in the heart of the jungle, you're coming out of it where A. There's less competition and B. You're more likely to be seen. In Gangnam, I used to walk out towards the Gyodae area long ago or in Itaewon, towards Noksapyeong Station where it was far less concentrated and I was much more likely to flag down a cab. See if the 'night owl' buses are available. The night owl buses are a recent initiative by the city where night buses operate on busy routes in the twilight hours when public transportation is closed. If you're in a very busy area and you're trying to go to another busy area you're probably in luck as a bus is likely to operate but if not they're not the most convenient option as A. The set routes means anywhere your destination falls out of the designated route, you'll have to walk from the closest stop or take a cab from there. B. The frequency of the buses are quite low. Because this is still a relatively new service (even though they say they're expanding it) the English information is quite lacking and even for each stop, it doesn't list exactly where it is but if you can make use of it, it's certainly an option! 6. Is Korea generally a busy period? Indoor areas such as movie theaters, shopping malls, etc will be popular obviously for their sheltering against the cold. The few weeks before the end of the year and the week or two after the new year is peak time for various gatherings for Koreans. This includes not only work-related gatherings but gatherings with friends, hobby/activity group groups, even alumni gatherings. This is because this is the time for songnyeonhwoes (송년회) and/or sinnyeonhwoe (신년회) or "year-end" and "new year" gatherings where groups gather to send off/bring in the old/new year. This means you'll see many more large group gatherings at bars and drinking establishments in particular. Outdoor venues generally see a down tick in visitors but don't miss the chance to see a royal palace or the Han River after snow fall when there really is a magical aura in the setting. 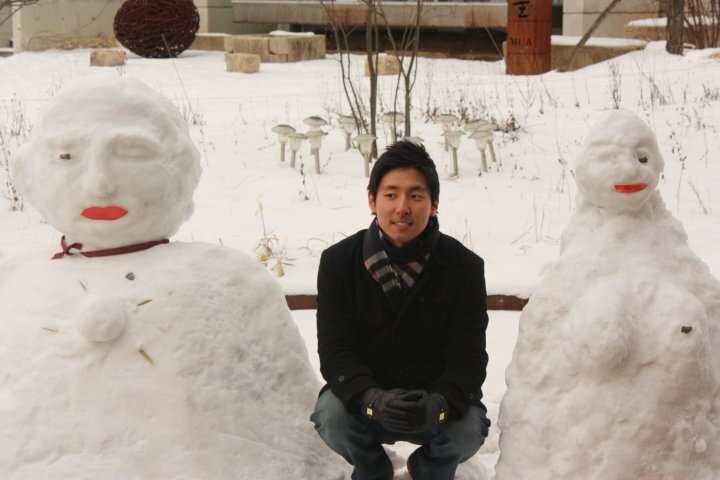 Stay warm, have fun, and let me know if you think I missed any of your favorite sights and activities in Korean winters!